Besides the many TOC designed station graphics is the scheme used by Network Rail (previously Railtrack) at its eighteen major stations. These are quite nice, London Bridge for example. But I've never understood the colour selection, for example why are London Bridge and Cannon Street the same colour when they are so close together, ditto Liverpool Street and Fenchurch Street? 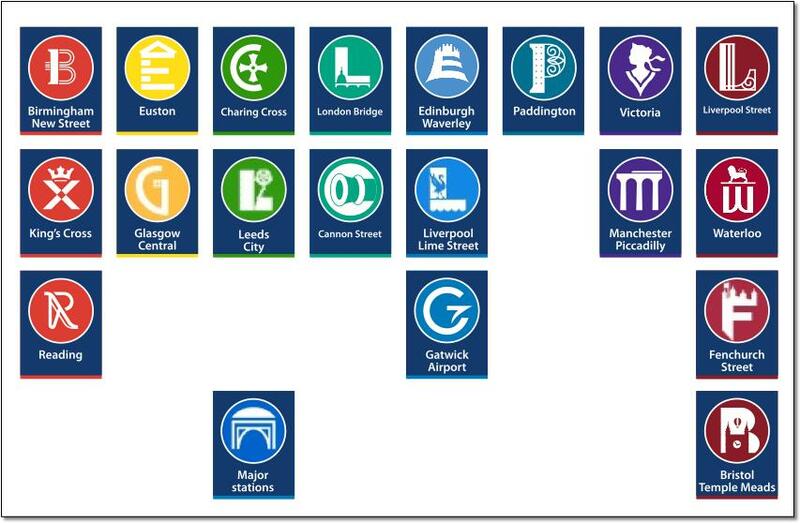 If these last three are all Eastern stations why isn't Birmingham the same colour as Euston and Glasgow?